Two years ago, Kyoto Tango's Ann Sophie von Bülow wrapped up her artist's residency in the South of France with a project on Eileen Gray - the lacquered surfaces of the architect's work is the inspiration behind her colorful beaded jewelry. 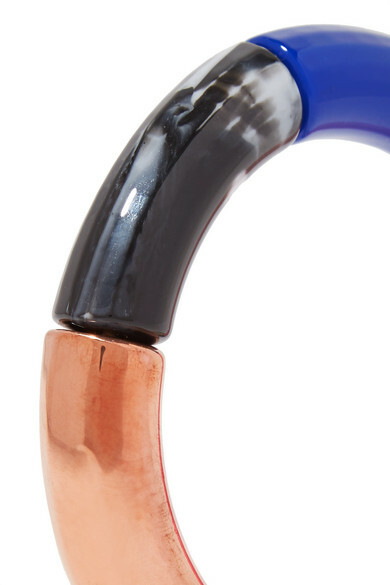 Drawing from modern art and African pottery, this 'Bang' bangle is handmade from color-blocked resin punctuated with marbled and copper-plated cylinders. 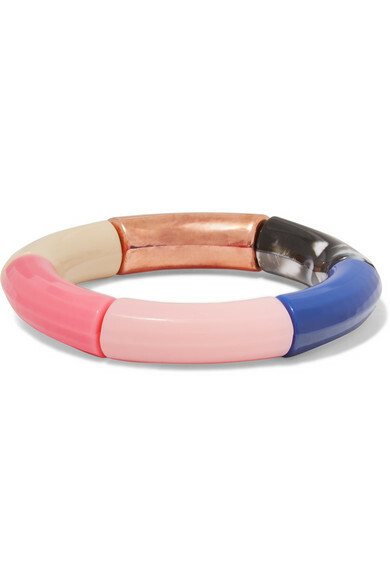 Stack yours with other vibrant styles. 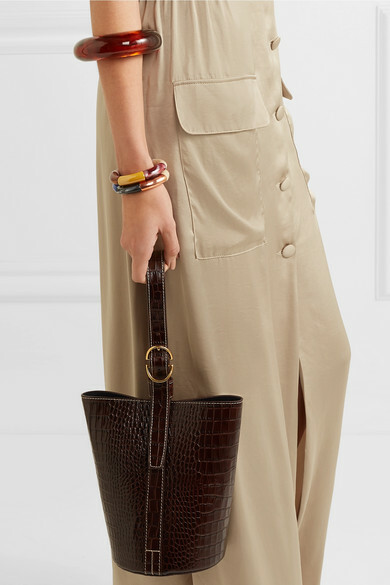 Shown here with: ANNA QUAN Dress, Cult Gaia Cuff, Trademark Bucket bag, Kyoto Tango Bangles.